Chemical defence by means of toxins poisonous to other organisms, be they animals or plants, is widespread amongst the plant kingdom - including microorganisms as well. 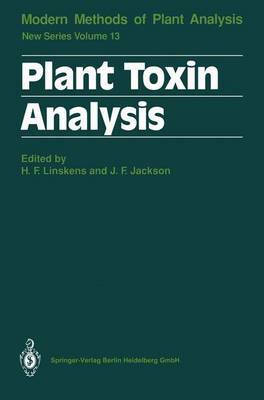 This book embraces the analysis of a wide range of plant toxins and this fills a gap in the plant pathology and ecological biochemistry fields. The topics covered include toxic extracellular enzymes, host selective toxins, elicitors, phototoxins, aflatoxins, mycotoxins, and ecotoxic substance tests by pollen germination and growth. The analytical procedures, which are used to evaluate the toxins, are covered in such a way that the reader is able to carry them out mostly solely by following the detailed descriptions.